'In 54 hours, 17 minutes and 14 seconds, I will turn 16. I will no longer have to sleep with my eyes open.' The 2099 Birth Act states couples must apply to have children in a bid to battle a booming population. The Ugly Youth, a group of illegal children, are on the run from violent gangs. Arkin, a young soldier, must train the Youth to escape capture and termination. 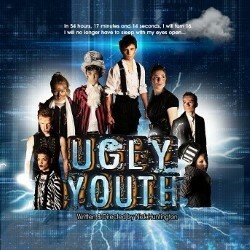 An intense and emotional futuristic new play with a talented young cast, live music and physical theatre. 'A superb ***** production' (Edinburgh Reporter for The Dreaming, 2017).